Charge yourself and your house with the energy of the Pisces! 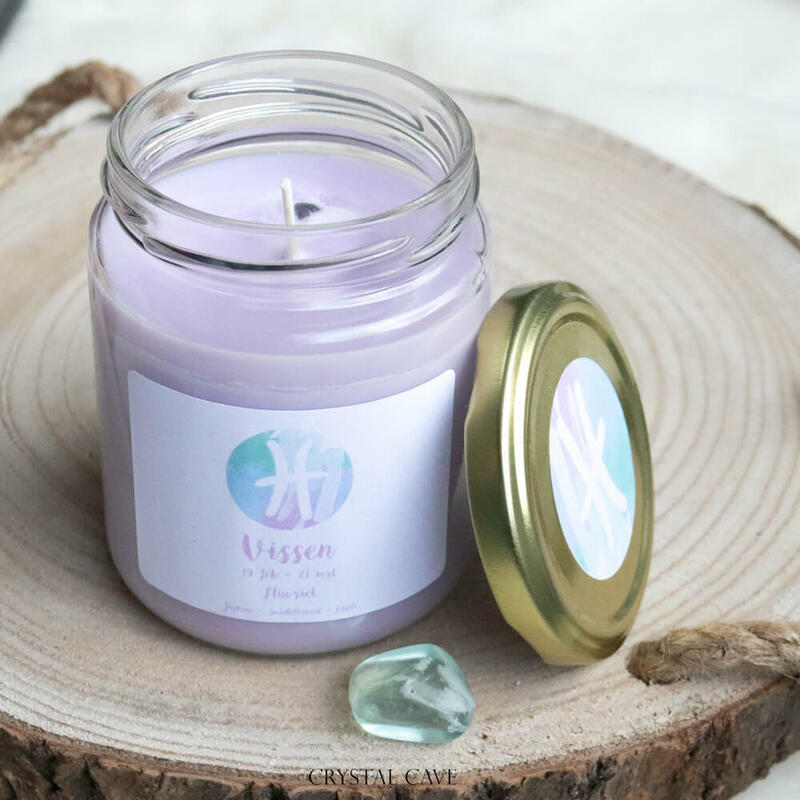 This candle contains a charged gemstone that you can carry with you after burning this delicious candle. The scents in this candle are tailored to the fish and the season. The fish scent is a soft and sweet / sweet smell with a fresh touch. This candle contains namely: Jasmine, Sandalwood and Apple. The candle has + – 60 burning hours. 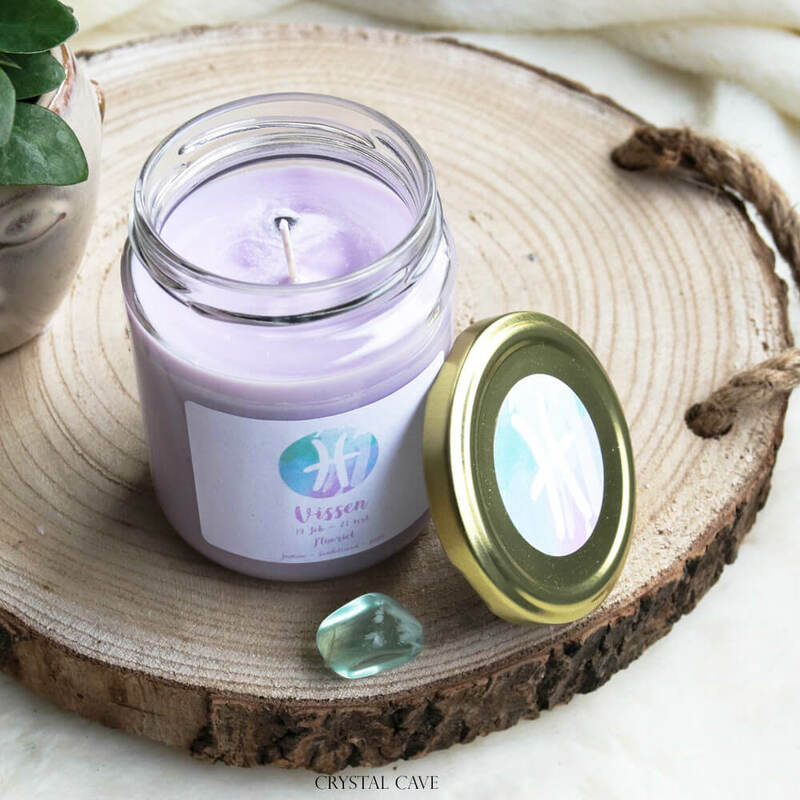 The gemstone in this candle is Fluorite. 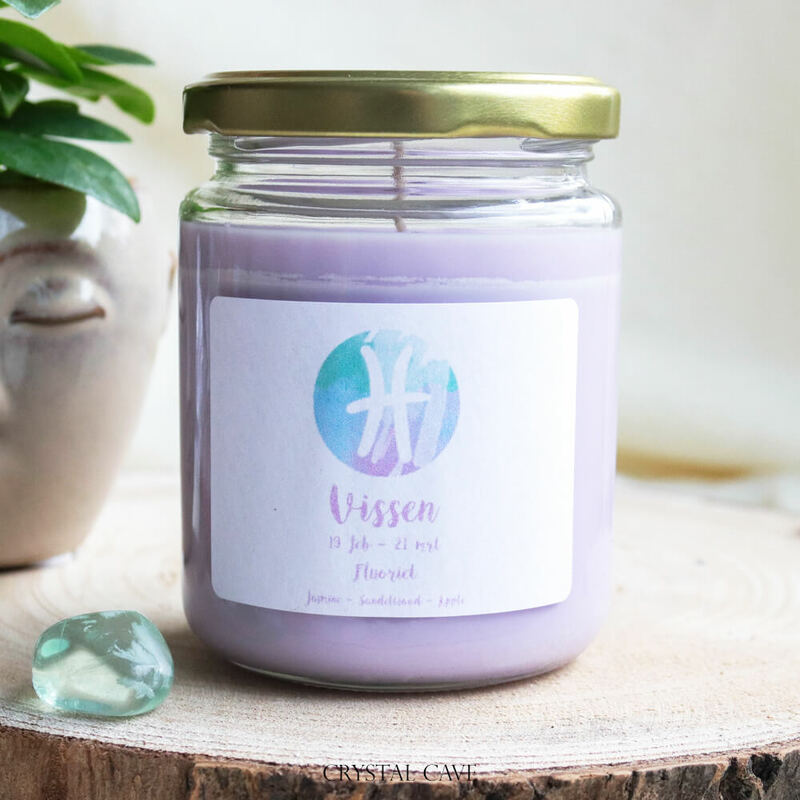 A sample of this candle is in the Pisces gift box! Trim wick until 1/4 before lighting the candle. Always place your candle on a fireproof surface or container. Because all our candles are handmade, some candles may differ from the photo above.